Under the affirmative defenses, you can YouTube/Napster/whatever music all day long apparently and be okay under this statute. Although, this is not advised. You may also GPS your directions, report illegal activity or report an emergency, not by calling 911, but apparently texting or emailing them or another person. You may also read a message you believe to be emergency, even though you would not know it was one until you read it, and can check the weather. Thus, it stops far short of a “hands free rule” that has been adopted in many cities. Further, this article preempts (or supersedes by superior power) the hands free laws in many jurisdictions under subsection (j). The officer also may not take your phone unless authorized by other law, and under Federal constitutional law he is prohibited from searching your phone without your consent or a warrant. Under subsection (e), the punishment is $25-99 for a first offense and $100-200 for a second offense under this statute. 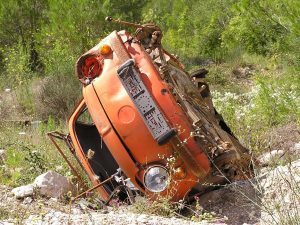 Finally, under subsection (f), a person who causes death or serious bodily injury in the course of violating this section is guilty of a class A misdemeanor, with a punishment range of a year in the county jail and up to a $2,000 fine. However, under those facts the prosecutor will likely charge his choice of felony aggravated assault with a deadly weapon, manslaughter, or criminally negligent homicide. Six years ago, Texas Governor Rick Perry vetoed a ban on texting while driving as an affront to personal liberty. This year, a Republican legislature and Republican governor said that personal liberty needs to be curtailed in the sake of their view of public safety. As of September 1, 2017, texting and in the act driving in Texas is a traffic-ticket level, Class C offense. Although the legislature created several exceptions that will be noted below, an officer who suspects that you are texting and driving, no matter what you are doing, will have a reasonable suspicion that you are violating the law and be able to pull you over for further investigation. However, as worded, this does not simply ban driving and “texting.” Under the new Section 545.4251(b) of the Texas Transportation Code, “[a]n operator commits an offense if the operator uses a portable wireless communication device to read, write, or send an electronic message while operating a motor vehicle unless the vehicle is stopped. To be prosecuted, the behavior must be committed in the presence of or within the view of a peace officer or established by other evidence.” Thus, the statute bans reading, writing or sending electronic messages driving. Concerned citizen Jim Wolfe wrote a tart letter to the editor of the Sherman Herald Democrat that he is “Fed up with Van Alstyne police”. I found the letter amusing as the most complaints of any small-town department that I know if in north Texas come from Van Alstyne. They definitely have a very aggressive police department, which apparently almost all of the readers of the Herald Democrat prefer, individual rights be damned. Apparently, at around 2:00 in the morning Mr. Wolfe was working at his place of business when someone set off the alarm. He checked on the disturbance and someone flashed a light in his face blinding him. He was interrogated by an officer who claimed that dispatch had reported a “suspicious person” (Mr. Wolfe did not inform of his race or exact location). Mr. Wolfe warned that citizens may be forced to use the Castle Law to his benefit, which allows Texas citizens to shoot an intruder into their home if they are in their home and did not provoke the intrusion and were not committing a crime themselves at the time. 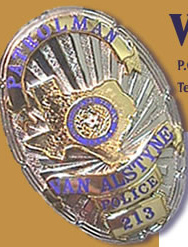 He states “an attempt to do an illegal search causes constitutional scholars to frown and Texas laws might turn this into a catastrophic event…” and that “[t]his episode is just another example of the many acts of harassment that citizens of Van Alstyne seemingly are expected to endure. How long are we as citizens of this town going to tolerate this type of treatment?” We don’t know, Jim, we just don’t know.